DAVID LE/Staff photo. 5/12/15. 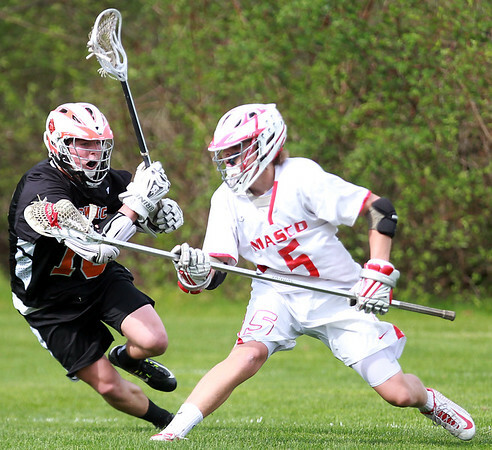 Ipswich senior attack Eliot Bates (10) attacks Masco defense Tommy Jung (5) as he tries to advance the ball upfield on Tuesday afternoon.